Katherines Corner is having a Giveaway! 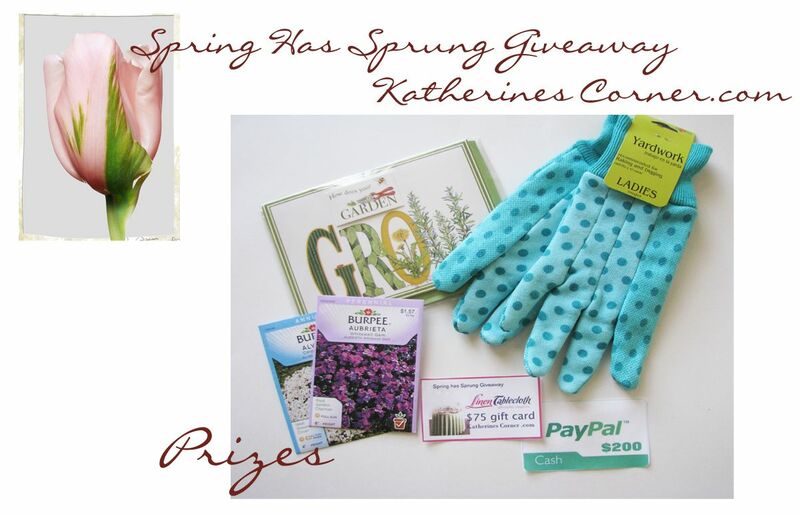 The Spring Has Sprung Giveaway! Entering is easy, log into the entry form using your email address or facebook and click on the first entry on the rafflecopter form. Then read the terms and conditions and click yes. 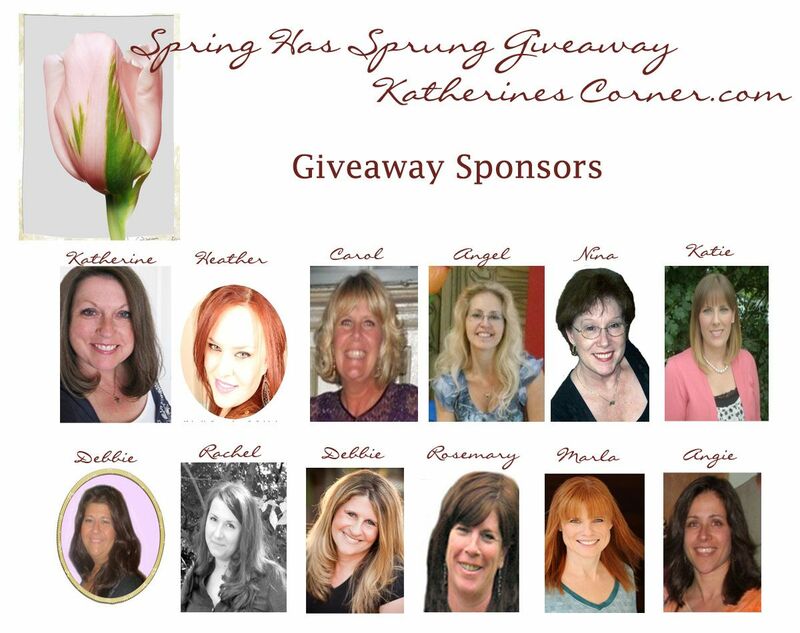 Follow Katherines Corner and her Sponsor and Partners then enter as many bonus entries as you would like. Open to all over 18. Giveaway starts today April 4th and ends April 29th. Copy and paste the button below to your blog for extra entries with a link back to the giveaway ( remember to let Katherine know where to find it). Or copy the code from Katherines sidebar. I like the 52 x 120 in. Rectangular Cotton Tablecloth White. I would get a 60 by 102 Charcoal colored Rectangular Table Cloth.